Whether there’s a photographer in your life or it’s yourself that you’re shopping for, it’s easy to get lost in the innumerable options available. Luckily, we’ve had a year to look at, test, play with, and ponder many of the best photography products available, and we’ve filtered them all through our collective experience to bring you this monster camera buyers guide — for beginners right through to photography buffs, and sure to suit any budget. A compact point-and-shoot characterized by a large feature-set, Canon’s PowerShot G7 X Mark II doesn’t let its compact size hold it back from delivering impressive imagery. It shoots in Full HD, all the while offering full manual control for conventional still shooters who want to broaden their horizons into video. Benefitting a range of shooting scenarios, the sensor and processor combination is joined by a versatile 24–100mm equivalent zoom lens, covering wide-angle to short-telephoto perspectives. Head to canon.co.nz for further information. Suited to ’graphers with enough experience to want a more hands-on approach, the EOS 77D DSLR from Canon blends advanced imaging capabilities with a versatile feature-set for both still photography and video recording. A large three-inch 1.04-million-dot touchscreen LCD allows easy playback control and live view monitoring, while Wi-Fi and Bluetooth connectivity facilitates on-the-go sharing. 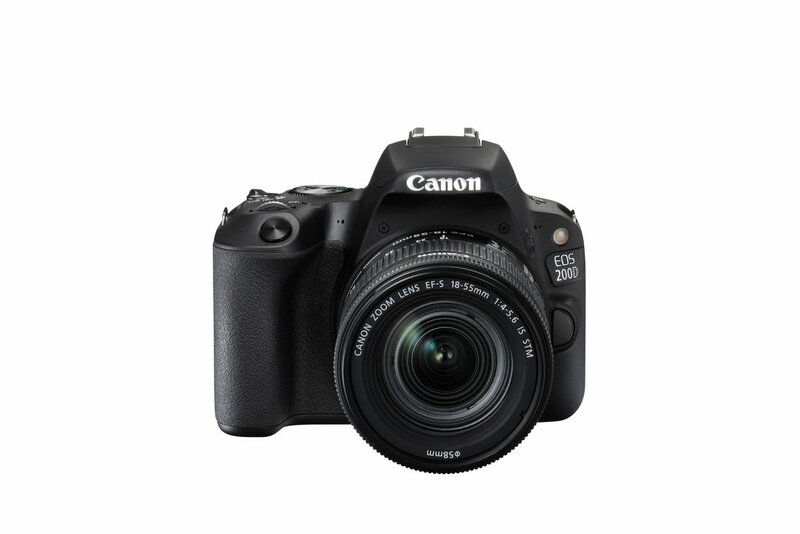 In fact, it borrows an awful lot from its upmarket EOS 80D cousin yet shaves a couple hundred dollars off the purchase price. Find out more at canon.co.nz. Canon’s mirrorless M100 finds the perfect balance: it’s a compact, easy-to-use, and highly capable camera system. Remaining light and compact, the camera ditches a built-in viewfinder in favour of a three-inch 1.04-million-dot touchscreen that tilts up to 180 degrees. Its Creative Assist and Self Portrait modes bridge the gap by stepping through camera settings for those without the technical know-how, while built-in Wi-Fi, NFC, and Bluetooth mean you can share your snaps the moment you capture them. Go to canon.co.nz to learn more. A fully-featured system that won’t weigh you down, the ultra-portable 200D packs the latest and greatest of Canon’s entry-level offering into its compact form. Featuring Guided Display, Canon’s newest interface, which offers simple-to-understand photo tips, meaning that beginners can learn as they shoot, and paired with the Canon Camera Connect app, Insta-fanatics can connect to their smartphones to instantly share their photographic adventures. Head to canon.co.nz for further information. 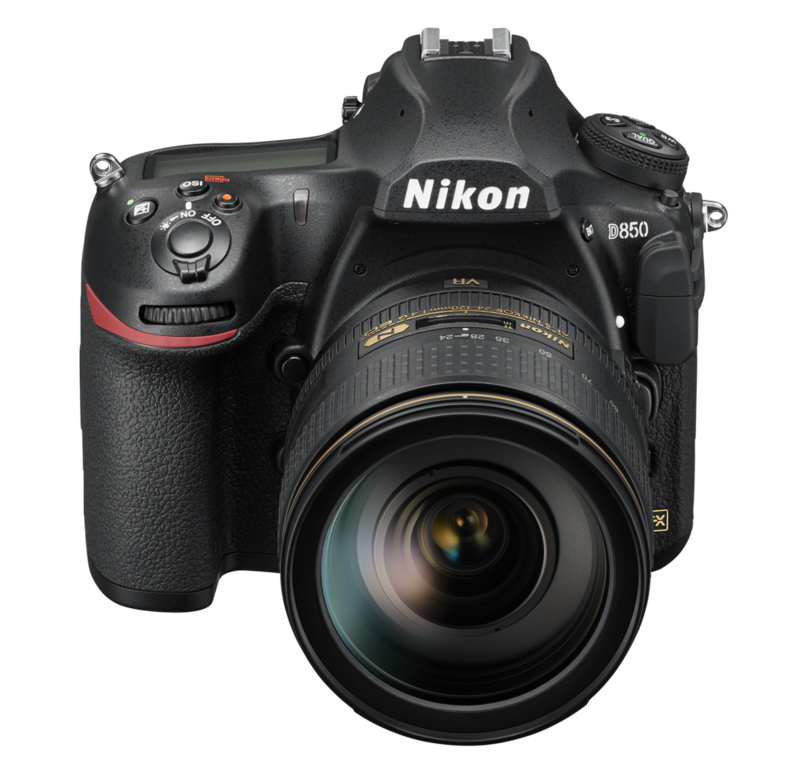 The D850 is Nikon’s latest high-resolution full-frame camera; with a massive range of features well-suited to multimedia image makers, it’s sure to appeal to high-end enthusiasts and semi-professional photographers. Boasting a newly designed 45.7MP BSI CMOS sensor, the D850 renders beautifully detailed images, and produces 4K video and phenomenal full 8K UHD time-lapses. Plus, at 1080 resolution, the camera can shoot at up to 60fps, with a slow-mo mode that can capture at 120 frames per second before outputting at 30, 25, or 24fps. Paired with the sensor is an ultra-fast Expeed 5 image processor, which together afford a 7fps continuous shooting rate for up to 51 consecutive frames, 153-point autofocus system, and expandable sensitivity range of up to a substantial 102,400. Go to nikon.co.nz to find out more. The Nikon D7500 puts performance first with a 20.9MP CMOS sensor and the Expeed 5 image-processing engine. The camera is designed for photo- and videographers alike, with a continuous shooting rate of 8fps, a native sensitivity range of up to ISO 51,200, as well as 4K UHD video and time-lapse recording capabilities. Championing a multi-cam autofocus system for fast performance and accurate subject-tracking capabilities, the D7500 features a total of 51 focus points for precise accuracy, 15 of which are cross-type to capture centrally-located subjects with brilliant clarity. Complementing the image capabilities, a bright pentaprism optical viewfinder offers 100-per-cent frame coverage and a 0.94x magnification for clear, realistic viewing in any lighting condition, while a tilting touchscreen allows for intuitive live-view shooting and playback control. Plus, for image sharing on the go, the device supports Bluetooth, Wi-Fi, and Nikon Snapbridge. Learn more at nikon.co.nz. Sony’s latest entry into the mirrorless line-up, the A9, is being championed as the manufacturer’s most advanced full-frame camera for professional photographers yet. Boasting a 24.2MP 35mm sensor, and a fully-electronic shutter that keeps things silent and vibration-free, the Sony A9 offers incredible imaging performance under pressure. The camera enables photographers to shoot at a blazing, blackout-free 20fps with continuous autofocus (AF) / auto-exposure tracking, offering a seamless live view at all times and ensuring that you never lose sight of your subject. With Sony’s Fast Hybrid AF system, the A9 pairs the speed of phase-detection AF with the precision of contrast AF, ensuring unfailing focus in scenes where it might otherwise be difficult to achieve. And if that’s not persuasive enough, Sony’s newest flagship boasts a massive 693 phase-detection points, covering 93 per-cent of the imaging area. Visit sony.co.nz for more information. Better images begin with bigger sensors, but that doesn’t mean you should be bogged down with heavy gear. Sony’s A7 II (RRP $2499) boasts a compact design yet outclasses many cameras in its category. It’s the first full-frame camera with five-axis image stabilization and is a sequel to the device that bowled us over last year by managing to squeeze a 35mm sensor into a mirrorless body for the very first time. With a 24.3MP sensor paired with Sony’s ultra-fast BIONZ X image processor, the A7 II exhibits an ISO sensitivity range of 100–25,600, and it has an enhanced Fast Hybrid AF system that is about 30 per cent faster than the previous model. Plus, with compensation equivalent to using a 4.5-step faster shutter speed, its sophisticated stabilization lets you zoom, capture close-ups, and shoot night scenes with greater clarity than ever before. The A7 II is comprised entirely of magnesium alloy, features a bright and detailed 2.3-million-dot electronic viewfinder, and retains the three-inch tilting LCD of its predecessor — but this time with an increase in resolution to 1.23 million dots. Go to sony.co.nz for more information. Modest in size but packed with all the features that you’d expect from an interchangeable-lens camera, the Sony A6500 is a mini mirrorless powerhouse that bests bulkier, heavier DSLRs. It offers a built-in viewfinder, tilt-angle LCD touchscreen, five-axis in-body stabilization, and a Fast Hybrid AF system that combines the strengths of both phase- and contrast-detection AF. Plus, with a class-leading 425 phase-detection points (covering almost the entire image) and a high-speed contrast-detection function, the camera wields an impressive 11fps burst mode, five-axis in-body stabilization, as well as highly accurate movement tracking for both stills and video. Learn more at sony.co.nz. While travelling, the gear-versus-weight trade-off is a constant struggle. If you want the control of an entry-level DSLR and the reach of three zoom lenses but can’t face the size or weight, the Sony Cyber-shot RX10 III is the ideal shooting solution. With blazing speed, but remaining completely silent, the camera makes for a new still and 4K-video shooting experience. The camera’s 24–600mm f/2.4–4 25x zoom lens covers a range from wide-open vistas to extra-close-up action, while a 20.2MP 1.0-type stacked CMOS sensor maximizes light-collection capacity and ensures that subjects stand out beautifully. Plus, image stabilization compensates for camera shake when shooting handheld, ensuring ultra-sharp images, even at the extreme end of the telephoto range or in dim light. Visit sony.co.nz for more information. Providing speed, reach, and versatile recording features, the Cyber-Shot DSC-RX10 IV from Sony is a compact solution for multimedia image-makers. Together, a 20.1MP, 1.0-type, stacked CMOS sensor and BIONZ X image processor make subjects stand out beautifully, even when shot at extreme close-up. Capable of shooting up to 24fps, as well as recording in 4K, the camera boasts a 315-point contrast- and phase-detection AF system for focus speeds as fast as 0.03 of a second. Balancing the imaging capabilities, the RX10 IV is also characterized by its large-aperture Zeiss Vario-Sonnar T* zoom lens, which spans an impressive 24–600mm equivalent focal-length range and uses Optical SteadyShot image stabilization to minimize the effects of camera shake by up to 4.5 stops. Head to sony.co.nz to find out more. An 18.2MP backside-illuminated CMOS sensor paired with Sony’s lightning-quick image processor pack the latest optical and engineering advancements into the Sony Cyber-Shot HX90V’s ultra-compact form. Tied for first-place as the world’s smallest superzoom camera (along with its sibling, the WX500), and featuring both a pop-up OLED electronic viewfinder and three-inch tilting LCD, this camera is the ultimate traveller’s companion. It sports a 30x zoom lens for clear, sharp, un-degraded image capture throughout an equivalent 24–720mm range, while an improved spatial object-detection algorithm makes AF even faster, for capturing fleeting moments with ease. Visit sony.co.nz for more information. The first RX100 caused a stir when it was released back in 2012, and though pocketable compact digital cameras had come before it, its much larger sensor ensured that it stood out from the crowd. The latest iteration, the RX100 V, builds on this tried-and-true formula. It inherits the RX100 series’ renowned 1.0-type image sensor and advances with blazing-fast 0.05-second autofocus (AF), 315 AF points for the world’s most comprehensive phase-detection coverage of its kind, continuous shooting up to 24fps with AF/AE tracking, as well as outstanding 4K movie capabilities. Plus, with it boasting a 24–70mm equivalent Zeiss Vario-Sonnar T* Lens, you’ve got everything from landscapes to portraits covered. Designed for photographers who love travelling light, the Sony RX100 V has an RRP of $1899, making it the ultimate compact for capturing movies and stills in arresting detail. Visit sony.co.nz. Fujifilm’s done more than simply throw more pixels at the X-T2. Though it’s similar in design to the X-T1, the X-T2 boasts some considerable upgrades from its predecessor, making the camera an all-rounder that’s equally at home with ultra-wides, large telephotos, and everything in between. Equipped with a 24.3MP X-Trans CMOS III sensor, paired with Fujifilm’s own X-Processor Pro engine, the camera captures fine detail quickly and with low noise, at sensitivities up to an extended range of ISO 51,200. This powerful combination allows for rapid image capture at up to 8fps, and a maximum shutter speed of 1/8000s. It also gives grunt to the camera’s 4K video capabilities, and an Intelligent Hybrid AF system, which boasts an incredible 325 points to ensure accurate, fast tracking, even in low light. To find out more, visit fujifilm.co.nz. Fujifilm’s X-T20 replaces the X-T10 and brings with it a host of new features, making it a sleek mirrorless camera designed for multimedia shooters. Staying true to the X-series’ functional design ethos, it combines an SLR-style viewfinder with Fujifilm’s tactile and timeless dial-based operation. The compact camera packs a punch, with a 24.3MP APS-C X-Trans CMOS III sensor and X-Processor Pro image processor — the same combo boasted by the X-T2. The sensor and processor take advantage of an extended sensitivity range to ISO 51,200, a 14fps continuous shooting rate when working with the electronic shutter, and 4K video capabilities. Its retro-inspired camera-body design incorporates a tilting 3.0-inch LCD touchscreen and a 2.36-million-dot electronic viewfinder, as well as dedicated shutter-speed, drive-mode, and exposure-compensation dials for direct, intuitive control over exposure and shooting settings. Head to fujifilm.co.nz to find out more. Retro-styled and with a ‘selfie-first’ design, Fujifilm’s X-A3 is ideal for beginner photographers and teens who have outgrown their smartphone and are in need of a dedicated photography kit. The camera features an aluminium front plate and top dials, a faux leather grip, and a tiltable LCD monitor that flips all the way around with slide-and-tilt mechanism to ensure 100-per-cent visibility as you shoot. That’s not to say that the image quality is at all inferior, though: the X-A3 incorporates a 24.2MP APS-C CMOS sensor for sharp, detailed images at sensitivities up to ISO 25,600, continuous shooting speeds of up to 6fps, and shots as quick as 1/32000s with its electronic shutter. Find out more at fujifilm.co.nz. While the GFX 50S shares a lot of what users love about the X-series line-up, it’s created a category of its own — it’s Fujifilm’s first medium-format camera since the days of film. Characterized by its large sensor and advanced imaging capabilities, the Fujifilm GFX 50S combines an outstanding 51.4MP CMOS sensor and an X-Processor Pro image processor to render brilliant colour, as well as an extended sensitivity range from ISO 50 right through to a massive 102,400. It also makes for crisp brights and deep, velvety shadows, rendered by way of an extremely wide 14 stops of dynamic range. A pleasure to shoot with, the GFX 50S offers a large 3.69-million dot OLED electronic viewfinder, and a tilting 3.2-inch LCD touchscreen that supports working from high and low angles.Forward-thinking and with film-inspired design, the GFX 50S is a master of image-making. To find out more, visit fujifilm.co.nz. The X100F, being the fourth iteration of Fujifilm’s well-respected X100 series, still uses the same 35mm equivalent 23mm f/2 lens, and draws on the same classic design cues. However, beneath its trademark outer shell, almost everything has changed. This evolution of its core feature set sees a 24.3MP APS-C X-Trans CMOS III sensor and X-Processor Pro image processor realize rich high-resolution stills, while expandable sensitivity to ISO 51,200 ensures the utmost in image quality, even in low light. In addition, a heightened hybrid autofocus system now utilizes 91 total points, including 49 phase-detection points, for quick, accurate focusing. The camera boasts Fujifilm’s Advanced Hybrid Viewfinder, which meshes both optical and electronic viewing means in a switchable manner, and offers adjustable magnification for the electronic rangefinder function for more precise manual focus control. The camera’s film-simulation modes, like the tonally rich ACROS monochrome or Classic Chrome modes, ensure your images will truly capture the mood of historic sites or stories at play on the street. Go to fujifilm.co.nz. Sleek and svelte, the Fujifilm X-E3 isn’t just a something to shoot with — it’s a kit you’d probably like to be seen with, too. A new progression in Fujifilm’s rangefinder-styled mirrorless series, the camera features an updated sensor and processor along with familiar classic design. With a 24MP X-trans sensor, the slick shooter avails quick continuous shooting up to 14fps, an extended sensitivity range to ISO 51200, and the ability to record UHD 4K/30 video or Full HD 1080p/60 video — as well as Fujifilm’s fastest and most accurate autofocus to date. Its retro-inspired physical design sees a high-resolution 2.36-million-dot electronic viewfinder and three-inch 1.04-million-dot rear touchscreen yet is small enough to be slipped into a jacket pocket. Go to fujifilm.co.nz for more information. With full weather sealing and a compact and mobile design, the Panasonic Lumix G85 is suitable for all your summer adventures. A video and photo all-rounder, the G85 boasts a 16MP sensor with 4K video capture as well as Panasonic’s proprietary Post Focus technology so that you can capture sharp, detailed imagery wherever your journeys take you. The camera combines five-axis stabilisation with Dual IS 2 for powerful handshake correction in which the body and lens work together to compensate for up to five f-stops. It’ll ensure that you’re taking striking moving images — not blurry ones. Find out more at panasonic.co.nz. Alongside the meteoric rise of mirrorless cameras, Panasonic’s range of Micro Four Thirds (MFTs) has gained in popularity among multimedia shooters. At the heart of the camera is a 20.3MP Digital Live MOS sensor and a newly developed Venus Engine processor, which supports 4K video at up to 60fps, 12fps burst shooting, and sensitivities up to ISO 25,600. With five-axis sensor stabilization and Dual IS 2 for highly effective shake correction that can compensate for up to five stops of shutter speed, plus Panasonic’s advanced DFD autofocus system that can lock on in just 0.05 of a second, the GH5 is an outstanding imaging platform for both stills and video. Go to panasonic.co.nz to learn more. Head to panasonic.co.nz for more information. An MFT camera designed for photographers and videographers, the GX85 boasts a compact build and intuitive layout, along with a feature-set to suit a multimedia lifestyle, including Post Focus, Depth from Defocus AF, and Dual IS. To make it the perfect choice for enthusiast photographers and videographers alike, the camera’s 16MP five-axis stabilized Four Thirds sensor boasts 4K features galore, including 4K video at 24, 25, and 30fps; a 4K Photo mode to capture 30 images per second at 8MP resolution; and a 4K Pre Burst buffering mode that records 30 frames to choose from before and after the shot you capture. Head to panasonic.co.nz for more information. A travel zoom that’s compact enough to be stuffed into a jacket pocket, the Panasonic Lumix DMC-TZ90 sports a 20.3MP high-sensitivity CMOS sensor, the company’s latest Venus Engine processor, improved Depth from Defocus autofocus technology, 4K video recording, plus a full range of manual controls. The camera comes with a 30x optical zoom lens that stretches to a fairly long reach at an equivalent 24–720mm, making it an ultra-versatile travel cam. Images can be composed on its new tilting three-inch touchscreen display or through the camera’s 1.16-million-dot-equivalent electronic viewfinder. Find out more at panasonic.co.nz. The update to the very popular Lumix DMC-FZ200, the FZ300 maintains the same 12MP sensor and fast f/2.8 lens but adds a brand-new image processor and 4K video into the equation. As a result, the DMC-FZ300 is capable of up to 60fps with an electronic shutter and 12fps via the mechanical one. Work in low light benefits from the shooter’s top sensitivity of ISO 6400, along with five-axis hybrid optical image stabilization to minimize camera shake. Pair that with a 24x Leica DC Vario-Elmarit lens covering a wide-to-telephoto 25–600mm equivalent focal-length range, and you’ve got a lens that’ll ensure you’re always a part of the action. Go to panasonic.co.nz to learn more. The ‘TZ’ of the TZ-series stands for ‘travel zoom’, so it’s no wonder that the Panasonic Lumix DMC-TZ110 makes for the ultimate travel companion. Designed to let you explore the world and capture each moment along the way, its 20MP one-inch MOS sensor ensures that your travel moments last forever. Panasonic’s proprietary Depth from Defocus autofocus technology and 10fps burst shooting ensure that you never miss a moment when shooting stills, while the power of 4K video allows you to record your journey at 30fps with no buffer limits. Being paired with an in-built crystal-clear f/2.8–5.9 Leica DC lens with 10x optical zoom offers incredible flexibility across an equivalent 25–250mm range. Learn more at panasonic.co.nz. Panasonic’s taken a slightly different approach with the Lumix DMC-LX10. Unlike similar models, it doesn’t have a viewfinder. Instead, it offers a touchscreen interface and a tilting LCD screen. But that doesn’t mean that it’s a camera just for selfies. It offers outstanding performance thanks to a 20.1MP high-sensitivity MOS sensor that delivers sharp, richly detailed images and stunning 4K video. The travel-focused camera features a fast Leica DC Vario-Summilux f/1.4–2.8 lens with a versatile 3x zoom range equivalent to 24–72mm. Plus, with an extended sensitivity range up to an impressive ISO 25,600 and continuous shooting at up to 50fps with an electronic shutter, there’s no denying that it’s a pocket-sized powerhouse. Head to panasonic.co.nz for more information. In line with Sigma’s dedication to optical excellence, Sigma’s SD Quattro camera is a new mirrorless model that leverages the power of high-quality lenses. Boasting a Foveon sensor that uses the light-absorption properties of silicon, the Sigma SD Quattro offers an excellent image quality. Unlike conventional designs that place filters in front of the sensor, the SD Quattro’s inner eye interprets colours by recognizing their different energy levels — or, more practically, how different coloured light penetrates the sensor to different depths. As a result, at base ISO, its resolution and colour-capture are fantastic, surpassing the imagery of APS-C Bayer CMOS sensors, and even surpassing some full-frame Bayer CMOS sensors by a whisker. Give the camera a test run at your local photographic retailer. The mirrorless Sigma SD Quattro H camera wields a 25.5MP Foveon XD Quattro sensor that captures light and perceives colour differently to conventional cameras and is thus capable of producing files with much higher levels of detail than you’d expect from the same number of megapixels. The ‘H’ in the camera’s name refers to the use of an APS-H sensor, which is 30 per cent larger than an APS-C, with a 1.35x crop. The Quattro H has a dust- and splash-resistant magnesium alloy body, and is backed by a 1.62M-dot LCD rear screen. Plus, with a full-depth SA mount, the mirrorless camera is compatible with more than 39 lenses — meaning that the Quattro H possibly has the widest choice of own-brand lenses compared with any other mirrorless camera. For more information, visit your local photographic retailer. Rangefinder shooters will love that this camera has built-in parallax-projected frame-lines for 21, 25, 28, 35, and 50mm lenses. This feature offers tremendous convenience — ditch the accessory viewfinders and simply frame and focus directly from the built-in one. Its widest 21mm frame-line, paired with a mechanical shutter release — making it possible to use the camera even without batteries (albeit, sacrificing metering) — is, above all, designed with lush landscapes and sweeping vistas in mind. Aside from the wide-angle viewfinder, all other features of the R4M are identical to those of the Bessa-R3A — including a bright viewfinder and quiet shutter. It has a simple LED metering display along the bottom of the viewfinder that displays exposure information in .5 exposure values, glowing red for under-/overexposure and green for correct exposure. The Bessa-R4M’s rewind crank features a double joint for extra compacting, and a locking switch below to prevent accidental opening. A manual viewfinder distance-adjustment switch sits next to the non-dedicated hot shoe, while the camera’s power button is a simple switch wrapped around the shutter release. Rubber wraps around the midsection of the camera for added grip, and a subtle thumb grip is located on the film door, while the elegant chrome lettering of ‘Voigtländer’ adorns the top plate.